Data recovery is certainly something to be avoided; and precautions such as scheduling regular backups of data on all systems, including servers, can diminish the likelihood of a data recovery situation. However, data loss does occur. The Technology Experts, LLC is equipped to deal with events such as a server crash or hard drive failure. We recognize that data loss can be crippling to a business and it does happen, despite all good intentions and precautions. Generally, data recovery is necessitated due to physical damage or logical corruption. Physical damage can include exposure to extreme temperatures, contact with water or moisture, sustained shock or force, spikes or surges in power sources, defects in mechanical or electronic components, and variations in humidity. Logical corruption can be caused by a virus intrusion, deleting or recycling of files, reinstallation of the Operating System, formatting of the File System, and corruption or breakage of the RAID array configuration. 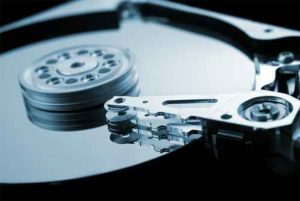 The techniques used by The Technology Experts, LLC to recover data depend upon the cause of the data loss. Our evaluation fee and cost of recovery is dependent upon several factors such as media type, media specification, media damage, and time. The recouping of lost data can sometimes be a straightforward process and at other times it can be a painstaking and exhaustive process. Data recovery success hinges upon the reason for the data loss and the extent of the damage. For example, accidentally deleted files are relatively easy to recover, but data recoupment from a hard drive that has been damaged by flood or fire is much more challenging. Unfortunately, chances for successful recovery decrease if there is physical damage to a hard drive’s platters or magnetic layer. Although there is no guarantee that data can be recovered, it is important to select a competent professional data recovery specialist such as The Technology Experts, LLC since the industry-wide data recovery success rate can vary.